customer service, contact us today! Welcome to The Coach People one of the UK’s leading coach hire and minibus hire companies. 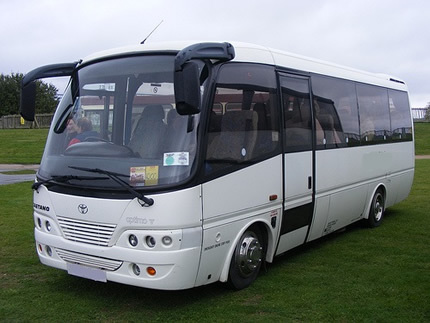 We provide a wide range of coach hire and minibus hire solutions to both private and corporate clients throughout the UK, and are specialists when it come to coach hire in London, Edinburgh and Glasgow. Working with a large database of coach hire and minibus hire operators enables us to provide the right coach or minibus, at the right price, for almost any occasion throughout the UK. We’re confident, working with our partners, we can source any vehicle of any size or specification whatever your requirements. We hire coaches and minibuses on a daily basis all over the UK from London to Edinburgh, assisting our clients with all types of travel solutions. We specialise in large group travel bookings, transport for sporting events, weddings, nights out, theme parks, music festivals and concerts, airport transfers, corporate hire, luxury coach hire and are trusted by a growing number of companies in the tourism industry, to provide routemaster bus hire and dedicated help with sightseeing tours both here in the UK and throughout Europe. We hire coaches and minibuses on a daily basis all over the UK from London to Edinburgh, assisting our clients with all types of travel solutions. Call us today on 0845 310 2462 for expert advice or a free quote. So if you need coach hire or minibus hire, no matter the occasion, why not join our ever growing list of happy UK customers and get in touch with us today for a fast, friendly and professional service. We are happy to provide you with a no obligation quotation and guarantee competitive prices. we promise, once you’ve booked you’re coach hire or minibus hire with us, you’ll call us every time for your future travel requirements. Hi Kevin, Just to let you know, how pleased we were with the service your company provided. All members of the party commented on how the driver was so friendly and welcoming to us as we arrived for our trip. He was patient and a pleasure to travel with. Please pass on our comments if you can. We look forward to using your company again and I shall recommend The Coach People to others. Dear David, I just wanted to let you know that the Coach Driver on Wednesday was really lovely and helpful, we were really happy with the service he provided, if you could pass on our thanks we would be very grateful. Thank you for all your help! 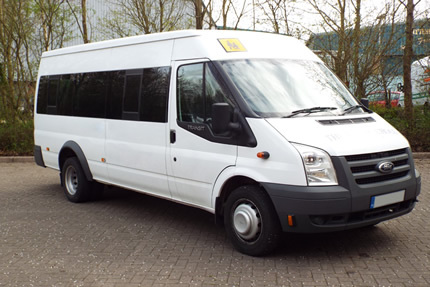 Take a look at the 8 – 16 seater coaches we have available to hire. Take a look at the 24 – 50 seater coaches we have available to hire. Take a look at the 50 – 100 seater coaches we have available to hire. Take a look at the double decker coaches we have available to hire. Working with large numbers of coach hire and minibus hire operators throughout the UK means we can source any vehicle for any occasion 365 days a year, whatever your requirements may be. 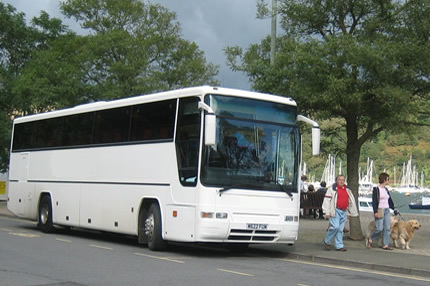 We provide coach hire and minibus hire services throughout the UK. From London to Edinburgh and everywhere in between, we can arrange cost effective transport solutions no matter where you are in the country. Booking your coach hire or minibus hire requirements through The Coach People has many advantages. Our customers are guaranteed competitive coach hire and minibus hire prices to suit all types of budgets.